O2 is a secure archive for personal data, including contacts, accounts, credit cards, Wi-Fi passwords and other sensitive information. Organize your data with the flexibility of the object model: each object can be a contact, an account, a credit card, and so on. You can customize each object with the fields that you need. 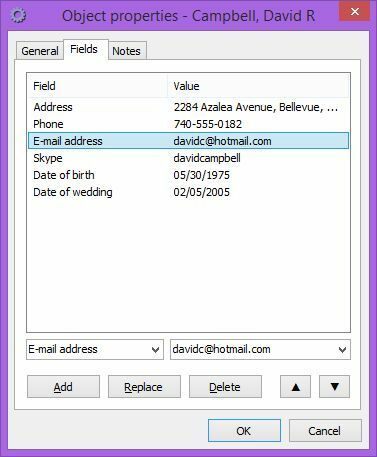 Add features to fields with the rules: you can mask sensitive data like passwords and PINs, create shortcuts to the web search, highlight values that meet certain criteria, mark dates as events (expiration dates, recurrences), and more. 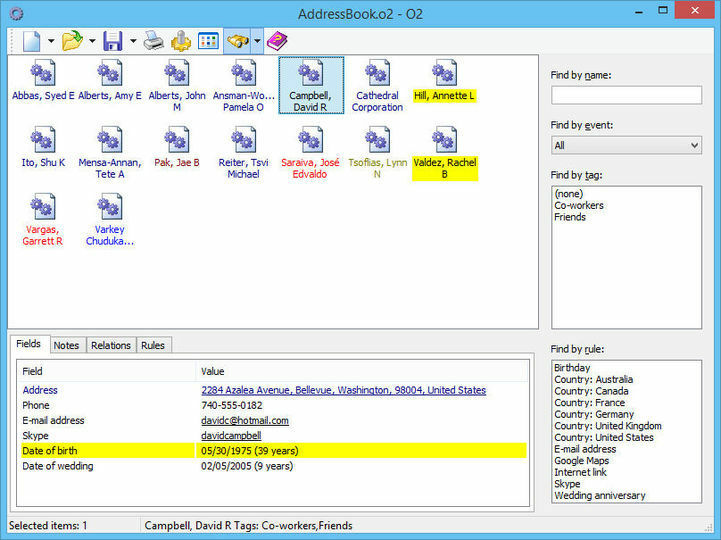 Connect two objects with a relation and keep track of their roles within it (husband-wife, parent-child, company-employee, etc.). Sort the objects by name, tags, event dates. Search for objects by name, event dates, tags, rules. 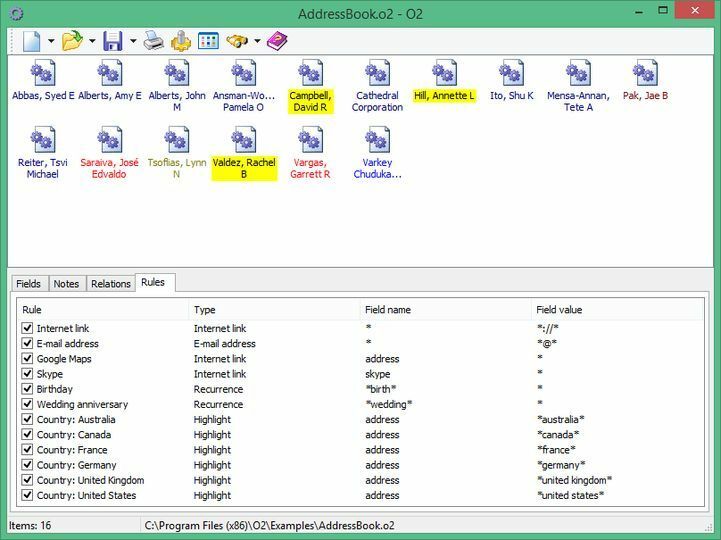 Print a detailed report of the data stored in your objects. You can also create a persistent copy of the report in HTML format. Import and export some or all of your objects in proprietary or XML format. Make safe your data with one of the available encryption algorithms. You can save your data also without cryptography, if you plan to share they.